The elaborate and often fragile, vulnerable nature of the human body, including its thought processes and memories, find perfect correspondence in these works by Laura Splan. 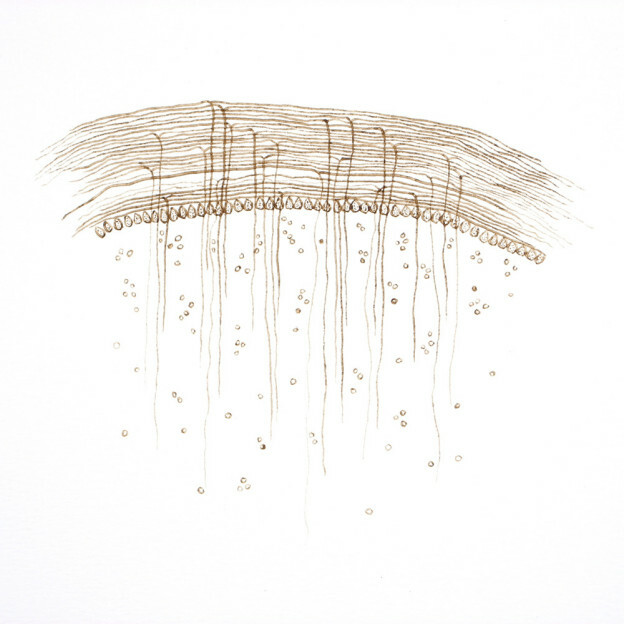 Pattern and structure, often referencing neuroanatomical forms, are explored and revealed through delicate works that often employ blood as both imagery and material. My conceptually driven work employs a variety of media including sculpture, digital media and works on paper. My objects and images interrogate the visual manifestations of our cultural ambivalence towards the human body. I often use found objects and appropriated sources to explore socially constructed perceptions of beauty and horror, order and disorder. 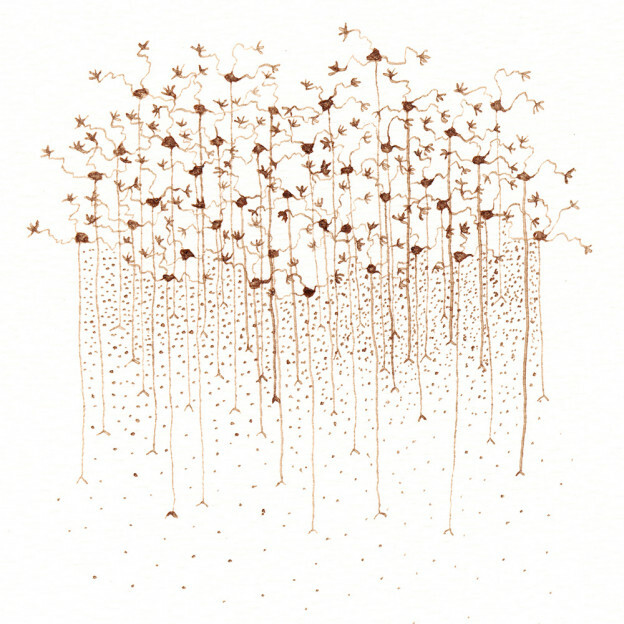 Much of my work is inspired by experimentation with materials and processes that are evocative of fragility. 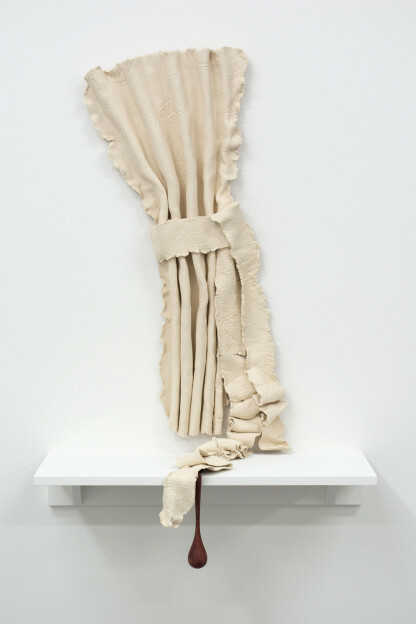 Delicate lines drawn on paper with my own blood and thin sheets of draped porcelain in sculptures call attention to the precarious nature of the body and the permeable boundary that delineates the internal from the external in our biological imaginations. 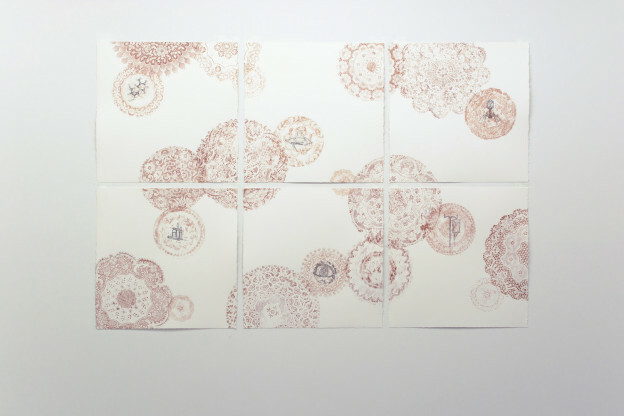 Thought Patterns explores the narrative implications of blood through its physical qualities. The drawings reference neuroanatomical forms sometimes directly, sometimes loosely. The images evoke the complex psychological and physiological responses our body has to outside forces. The forms of the brain structures act as visual metaphors for the extreme complexity and delicate fragility of the human body. 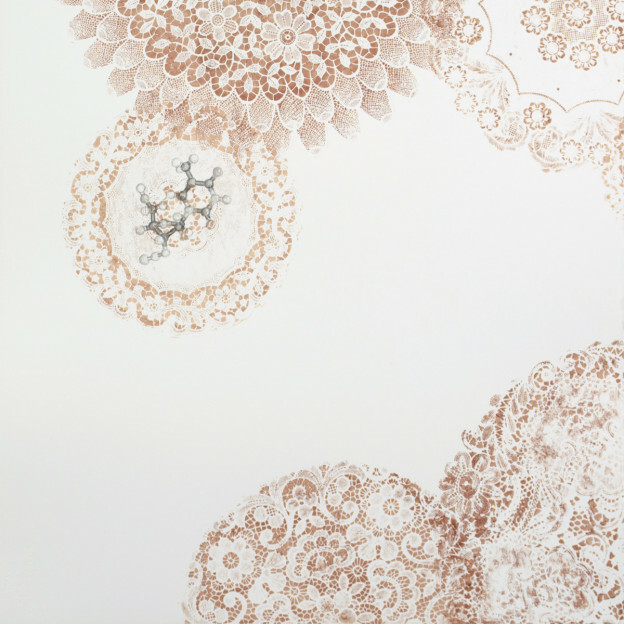 Incomplete Retrieval explores the pattern and structure of the doily as a metaphor for the formation and degradation of memory. 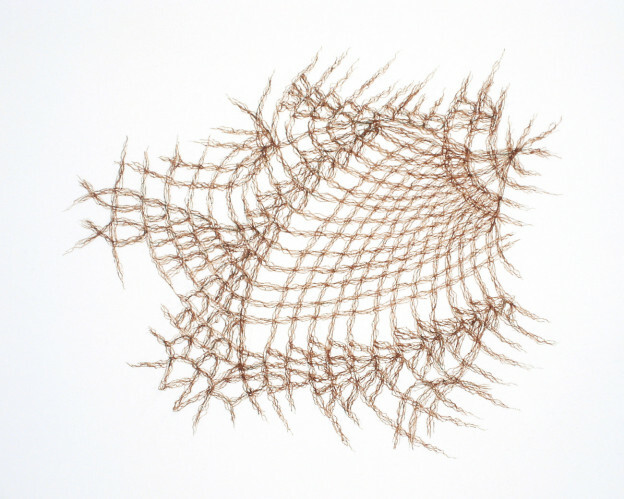 The drawings imply the patterns and structures of traditional doilies and resist interpretation of growth or degradation. 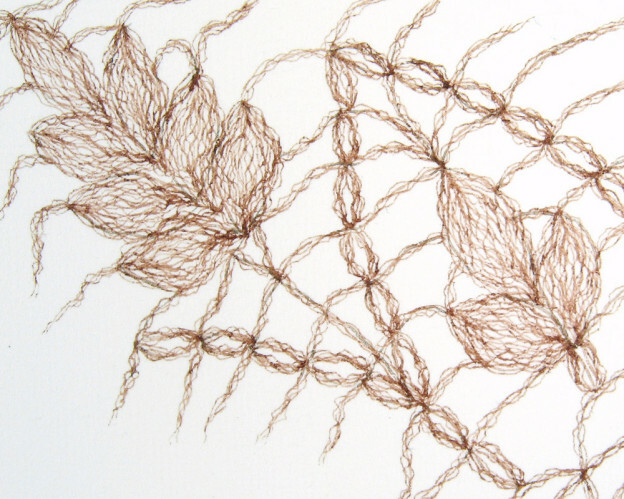 The delicate lines fray off into intricate, nerve-like endings. 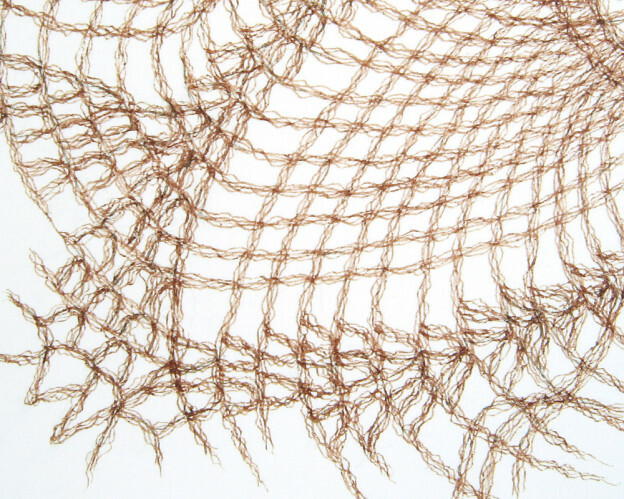 The strands form the thread-like elements of the doily structure. 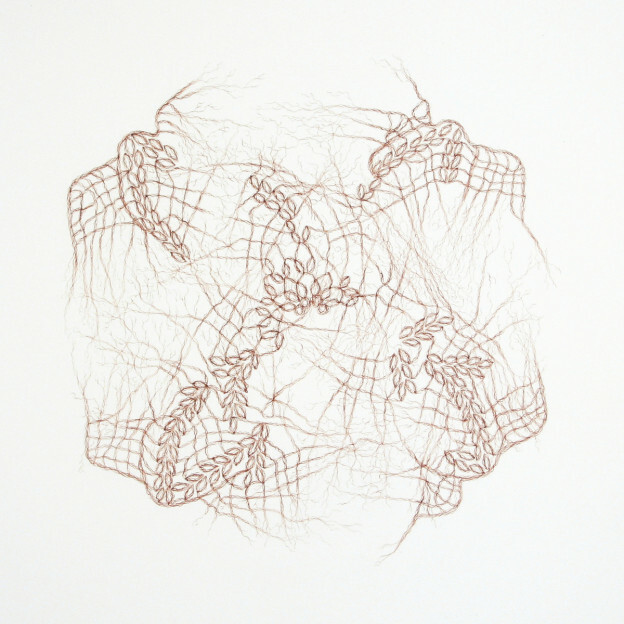 Elaborative Encoding explores the pattern and structure of the doily as a metaphor for the formation and degradation of memory. “Elaborative encoding” is a term used to describe the formation of new memories as they are encoded using information that is already known. Memories are formed and stored in association with one another, forming an elaborate “web” of related memories and knowledge. Host was a special commission for “Re/Presenting HIV/AIDS” at the Van Every/Smith Galleries (Davidson College, Davidson, NC). Host attempts to materialize experiences of coming to consciousness about HIV and AIDS while coming of age in the 1980’s in the suburban South. 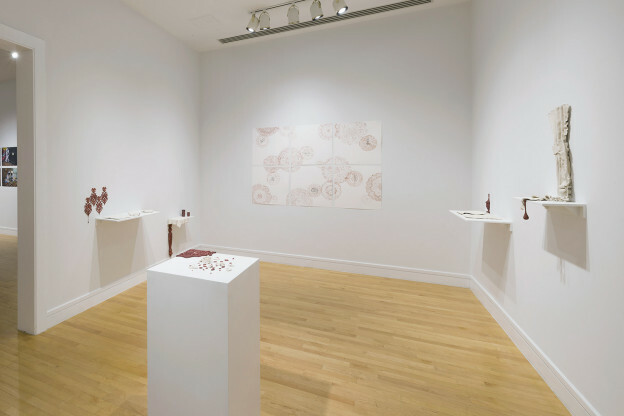 The sculptures and works on paper embody a desire to resolve fears of the emerging health pandemic with notions of “Southern hospitality” and the “gracious home”. The work draws on personal memories of AIDS arriving as an unexpected guest at our quaint home and quietly announcing itself in hollowed cheekbones, sunken eyes and Kaposi lesions. My sculptures and works on paper interrogate genteel notions of hospitality and domesticity as they are undermined by biological realities and a changing sociopolitical landscape. 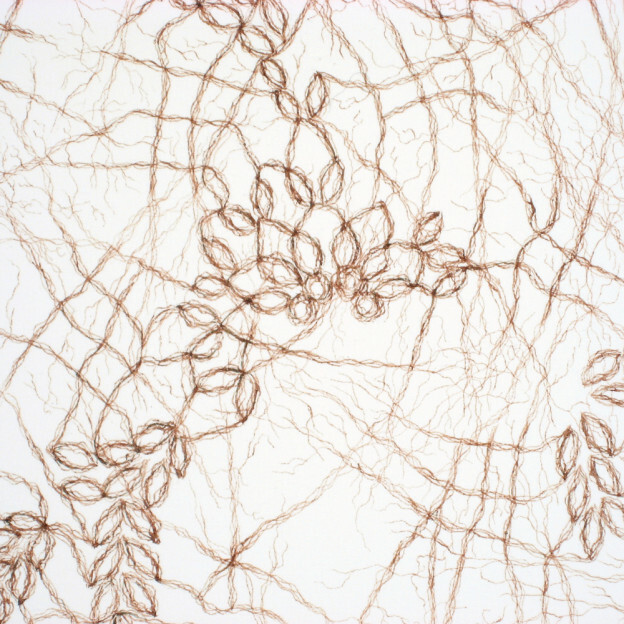 Decorative patterns obscure underlying renderings in a series of works on paper. 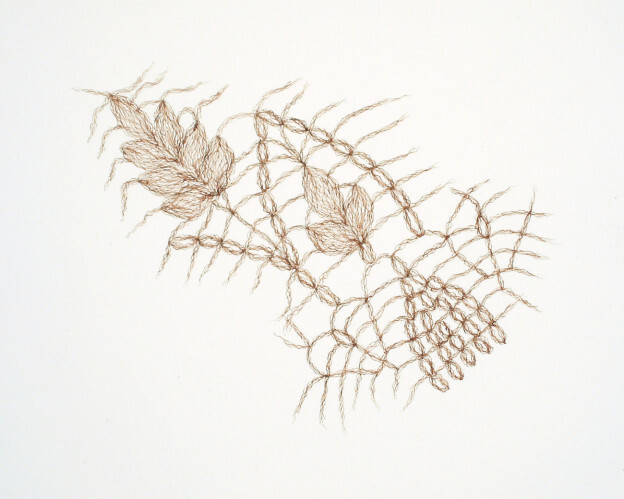 The work uses graphite and my own blood as “drawing” material and vintage plastic doilies as stencils. 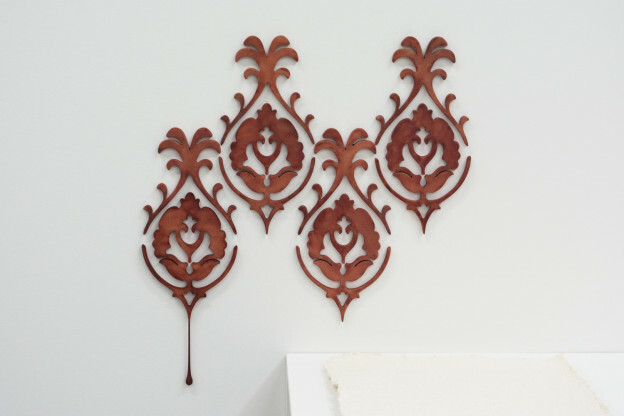 The sculptures combine porcelain forms with 3D printed elements that have been stained with blood. The forms interrogate the fragility of the body with the tenuous nature of social decorum. 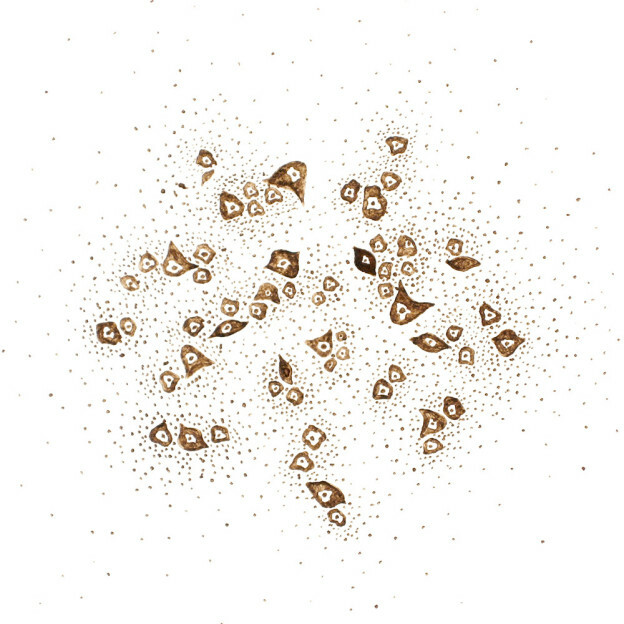 Trepidation presents ambiguous forms approaching and retreating from one another. The mirrored image of a single drop of blood dripping from a finger tip drips into itself and falls into its own form. ← Life and nature in all its beauty and strength, fragility and disease, mortality and death.